New AR framework makes it easier to build mapping apps. The augmented reality revolution sparked by Apple’s ARKit needs a dash of accuracy if it’s really going to catch fire — especially when it comes to mapping. 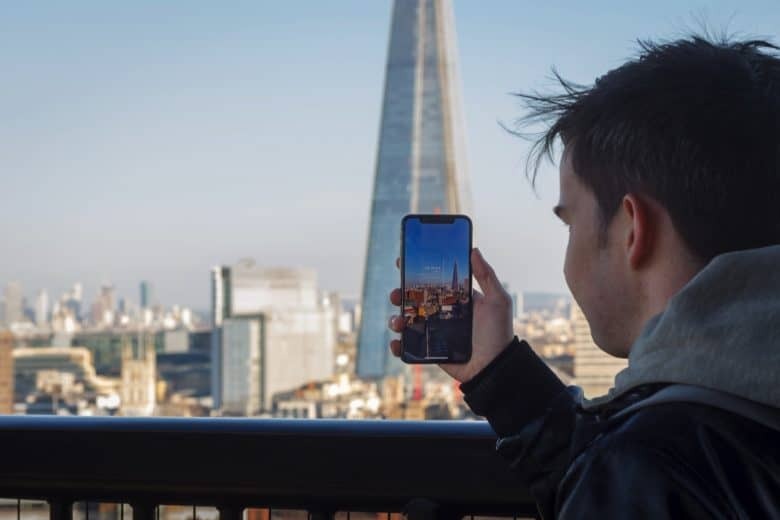 That’s why London developer Andrew Hart created a location-aware toolkit that uses artificial intelligence to punch up the precision in apps built with ARKit. ARKit is one of Apple’s most hyped technologies in years. Apple CEO Tim Cook says barely any facet of our lives will remain “untouched” by augmented reality. And yet ARKit hasn’t exactly set the world ablaze yet. Analysts say that, while developers rushed to adopt ARKit following its September launch, the number of ARKit apps available today remains disappointing. Hart, who named his startup Dent Reality, thinks the future of augmented reality is mapping. Dent Reality’s AR Location Toolkit is an open-source framework that makes it simpler for developers to add AR experiences to their apps. It’s built on top of Apple’s ARKit, and uses computer vision technology to identify the surrounding landscape. It allows developers to overlay interactive — and, more importantly, geographically precise — information about different points of interest. Regular AR apps focus on placing objects within the user’s immediate proximity (think of Ikea’s furniture preview app). But Hart’s AR Location Toolkit allows devs to create apps that augment skylines, or help users recognize and annotate objects within AR. In demos of his technology, Hart’s toolkit is used to create visual pointers on the street guiding users to their destination using on-screen arrows. In another demonstration, similar arrows are shown stretching into the distance on the horizon to show a proposed route. There are plenty of other possible use-cases, too. Imagine pointing your iPhone at an ancient building and seeing a brief history of the structure pop up on the screen. Or seeing nutritional information floating in front of entrees listed on a restaurant menu. Hart, like Cook, thinks augmented reality will fundamentally change the future of apps. However, he acknowledges that AR mapping faces some big limitations right now — starting with the way people use their iPhones. Long-term, Apple is apparently working on creating augmented reality glasses that could work as a more successful version of the ill-fated Google Glass project. Hart said he expects AR glasses to become mainstream within above five years. The next-gen wearables will put a fantastically useful stream of data right in front of our eyes. Many of the ARKit apps Hart has seen so far have been a bit “gimmicky” or downright “lackluster,” he said. But he writes that off as more a result of where we are in the augmented reality adoption cycle than anything. Hart maintains that ARKit will be a game-changer for augmented reality, and that Apple is playing an “industry leading” role in its work. Augmented reality just needs a bit of a helping hand to live up its potential. He hopes Dent Reality’s AR Location Toolkit adds the kind of accuracy that can make augmented reality commonplace in the not-so-distant future.